Spotted this at a Walmart not to far away from me. 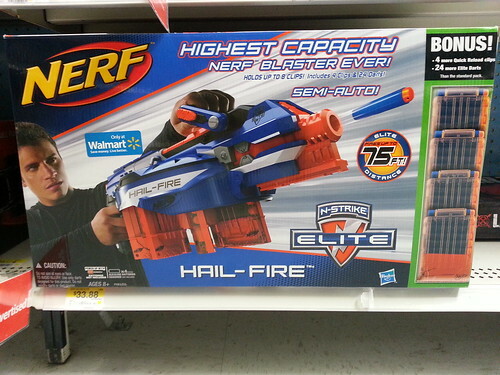 It’s that N-Strke Elite Hail-Fire deal people spotted online a couple of months back, for now it’s a Walmart exclusive for only $33.88. This seems like a fair deal to me. 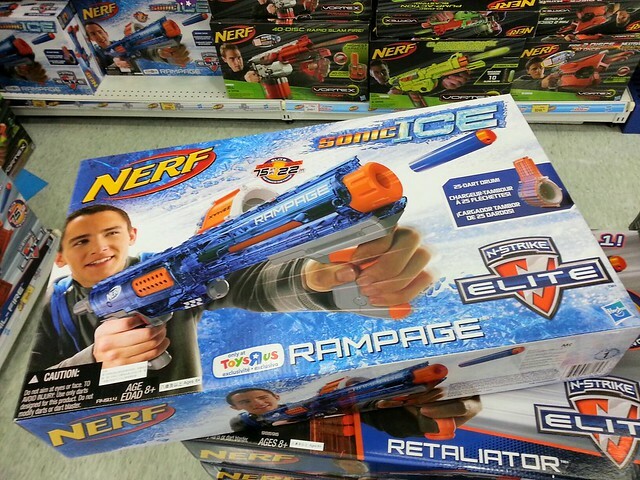 You can probably go to your Walmart to buy yourself one, or buy it online. 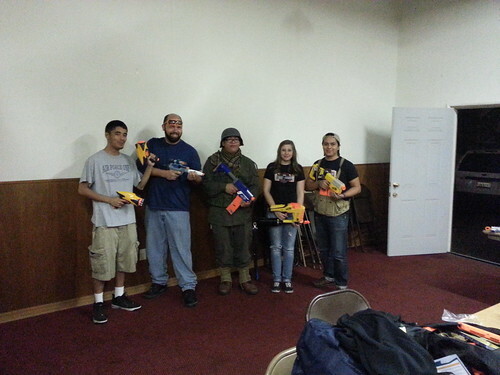 From left to right, Basic Nerf, Coop of Click Click Bamf, and the head organizers of the Norwalk Nerf League. October 20, 2012 was a Saturday Night. I planned this indoor Nerf War for my friends, one of which would be leaving back to his home country of Australia in early November. We usually play in a park, but before he left we decided to spice it up a bit.I invited Coop from Click Click Bamf to come by for a bit, but he had to leave early. 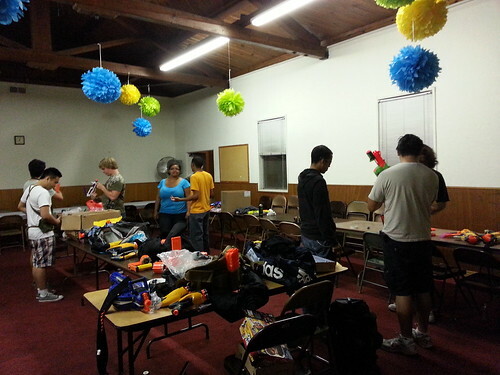 A couple of weeks before the event the head organizers of the Norwalk Nerf League contacted me. I ended up invited them and we had a total of 14 people play here. I got some testing in with the yet-to-be-released Nerf Dart Tag Snapfire 8s, my modded Stampede, and more Hail-Fire gameplay! 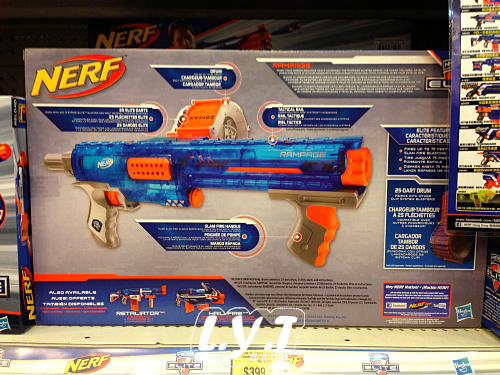 Keep reading for more Nerf war footage and photos! 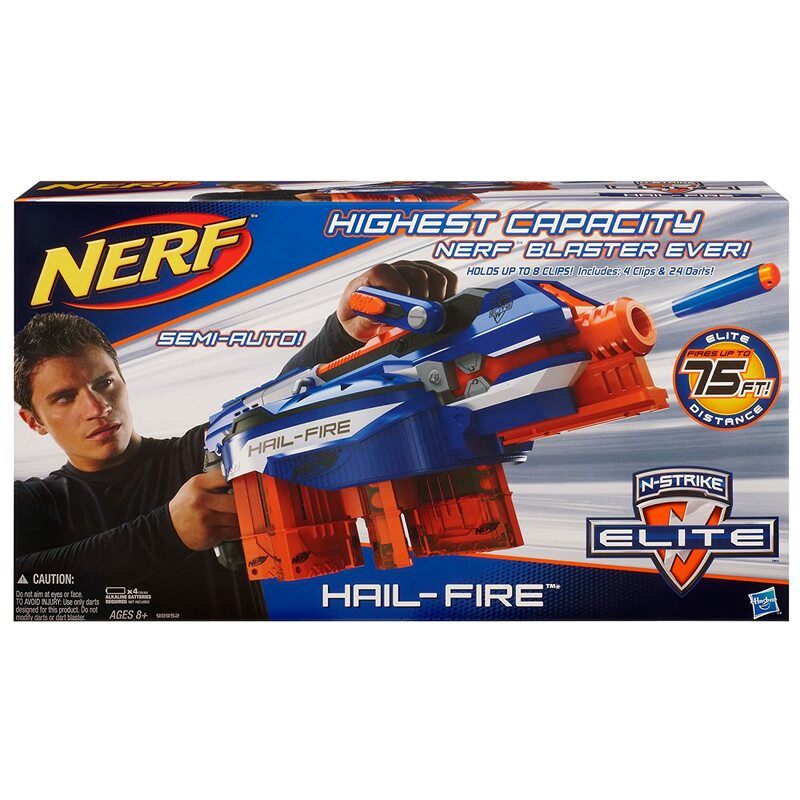 For the higher then suggested retail price of $49.99, you too can get a Hail-Fire off amazon.com Posts will be a bit slow today while I recover from yesterday’s HvZ game.